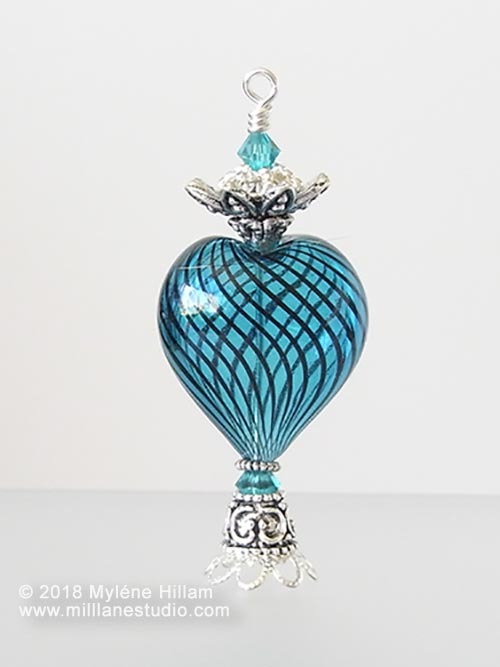 Is it an Egyptian Perfume bottle? Or maybe if you rub it, a Genie will appear and grant you 3 wishes! 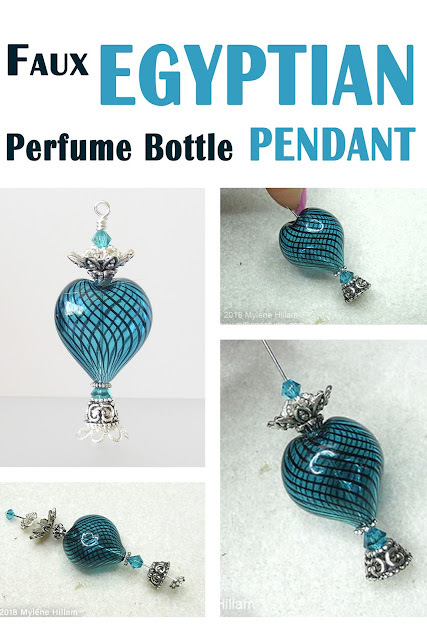 No matter how you see it, this exotic bottle pendant is sure to bring you lots of admiring compliments. 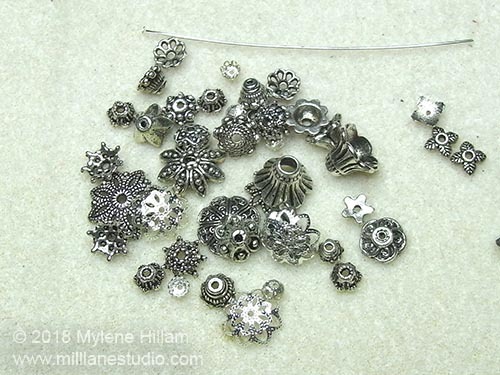 To design your bottle pendant, you'll need to sort through your bead cap mix and find combinations that work well together. 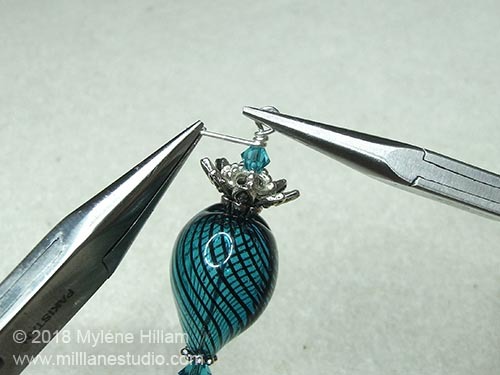 Starting with the base, string on a 3mm bead cap or a round spacer bead. 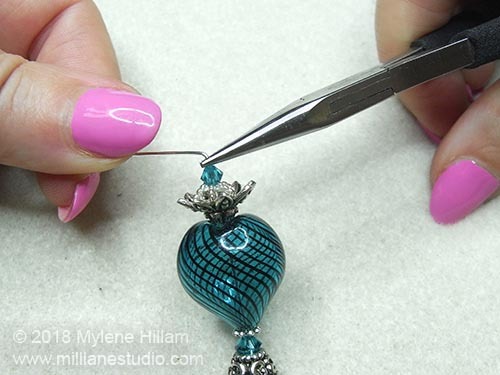 This will act as a stopper and make sure that the first bead cap doesn't fall off if it has a large hole. 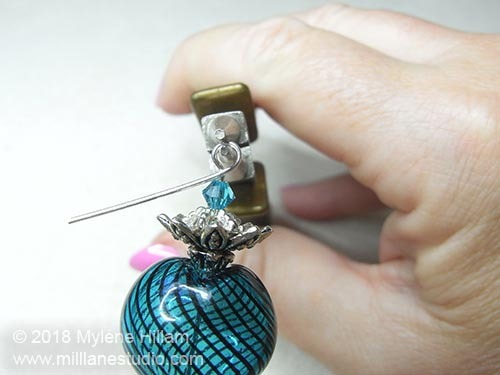 Include the 6mm Swarovski crystal in the stem and add the feature bead so you get a really good idea of how it will look. Just keep trying them in different combinations until you like what you see. 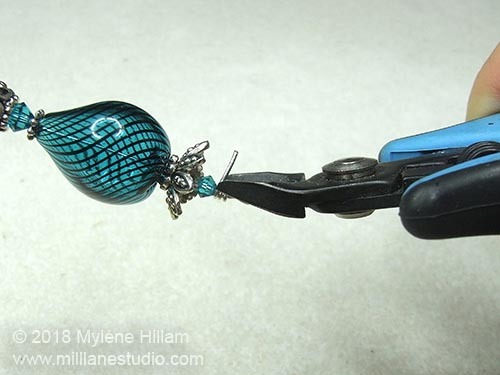 I eventually went with number 2 and added a filigree petal bead cap to the base to make it look more balanced. Now do the same thing with the top. String different combinations of bead caps to create a fancy-shaped top for your faux perfume bottle. 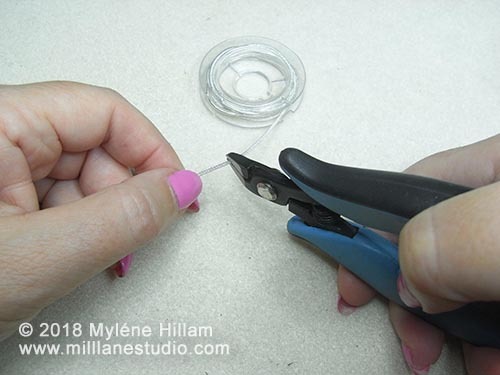 Include the 4mm Swarovski crystal in the top as part of the lid. This time I went with the third combination. Once you're happy with the design, firm all the bead caps into position so they nestle inside each other and there's no play in them. 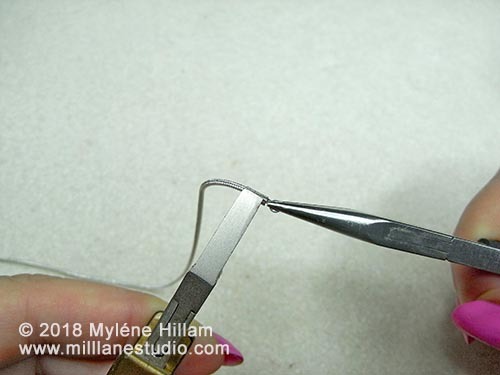 Grip the head pin above the last bead/bead cap with chain nose pliers and bend it at a 90° angle. 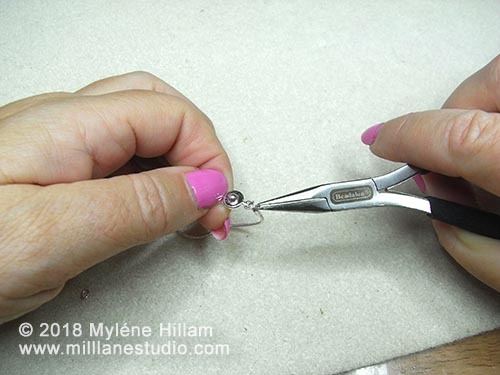 Hold the loop with one pair of pliers and grip the tail with the other pair. Wrap the tail neatly around the neck as many times as you can. This will keep the components firmly in position so that there is no wiggle room. Now that you've completed your Faux Egyptian Perfume Bottle Pendant, wear it! And enjoy all the compliments you get.